(AP) NEW YORK - The price of oil tumbled below $90 in U.S. trading on Wednesday for the first time in nearly seven months as U.S. supplies continue to grow. Benchmark U.S. crude fell $2.14, or 2.3 percent, to $89.71 per barrel. The price hadn't been below $90 per barrel since Nov. 1. Brent crude, meanwhile, dropped to a new low for the year but remained above $100 a barrel. It lost $2.64 to $105.77 per barrel in London. The government said U.S. oil supplies grew last week by 900,000 barrels and hit the highest level since 1990. Analysts expected supplies to grow by 750,000 barrels. The price of oil and other commodities tend to fall as more supplies become available. 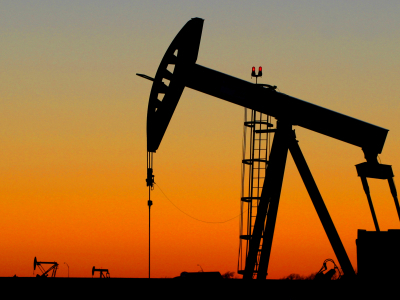 Concern about the strength of the global economy, particularly Europe, also contributed to Wednesday's decline and is a large reason that oil has plunged nearly 15 percent in May. Analysts are predicting the European economy will continue to slow. Meanwhile, China's government is mulling steps to reverse a slowdown in the Chinese economy. In the U.S., the pace of hiring has tailed off. Tensions with Iran drove up oil prices earlier this year as traders prepared for a disruption to supplies from OPEC's second-largest producer. Now, analysts say Iran may be allowed to keep exporting oil this year as it negotiates with the West and allays concerns about its nuclear program. Meanwhile, Saudi Arabia has been delivering more oil to world markets. Pump prices in the U.S. have followed oil lower. Retail U.S. gasoline prices were flat at $3.678 per gallon on Wednesday, according to auto club AAA, Wright Express and Oil Price Information Service. The nationwide average for a gallon of regular unleaded has dropped by 25.8 cents since peaking in the first week of April. Gasoline is 16.5 cents per gallon cheaper than it was the same time last year. In other futures trading, heating oil fell by 4.14 cents to $2.82 per gallon while wholesale gasoline lost 5.1 cents to $2.886 per gallon. Natural gas added 0.7 cent to $2.714 per 1,000 cubic feet.